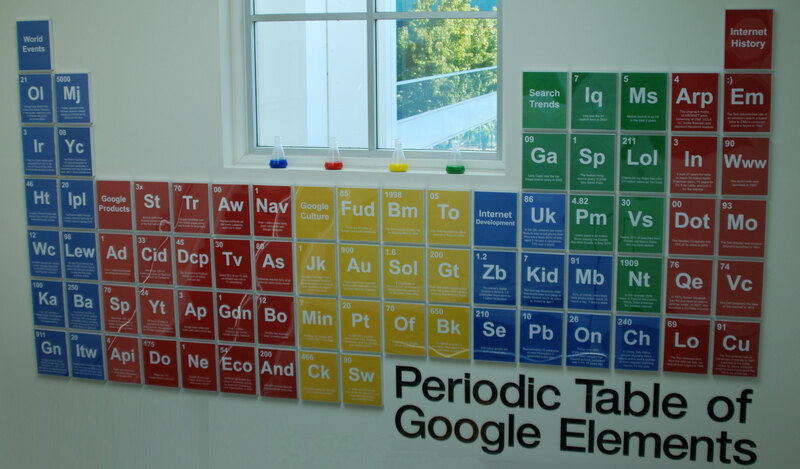 A bunch of creative Google employees, working in the Mountain View office, have created a beautiful and informative periodic table on one of their office walls where individual elements represent stats about Google and the Internet. For instance Pb 10 means that approximately 10 petabytes of information is generated on the Internet every single day. 45 Dcb represents the fact that Google’s DoubleClick platforms serves over 45 billions ad impressions per day while 4.82 Pm means that users spent 4.82 million hours playing the Pac-Man doodle that adorned the Google homepage in May 2010. Here’s a video of the Periodic Table wall. You may also visit Picasa for more photos.